This shot was taken at Jal Dhara Water Park, Jaipur. 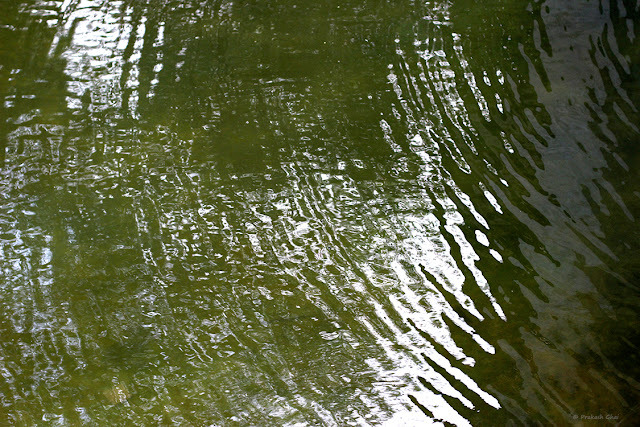 The only element in the photo is the Spiral Water Ripples. The water ripples could have been taken zoomed and they could have formed a complete circular shape. But I chopped them. The decision was intentional, as this chopped version adds to the mystery of the photo and stimulates the sense of imagination of the viewer. While Editing I tweaked the contrast and levels a bit. A touch of extra sharpness and color, too was added. The Photo falls under the Minimalism as Less Elements category. The photo was taken by Canon 600D with the 50mm F1.4 lens. Thank You for your time on the post. I send you all greetings from Jaipur, the Pink City of India.